Learn to carry out pre-processing, visualization and machine learning tasks such as: clustering, classification and regression in R. You will be able to mine insights from text data and Twitter to give yourself & your company a competitive edge. My name is Minerva Singh and I am an Oxford University MPhil (Geography and Environment) graduate. I recently finished a PhD at Cambridge University (Tropical Ecology and Conservation). I have several years of experience in analyzing real life data from different sources using data science related techniques and producing publications for international peer reviewed journals. Over the course of my research I realized almost all the R data science courses and books out there do not account for the multidimensional nature of the topic and use data science interchangeably with machine learning. This gives students an incomplete knowledge of the subject. Unlike other courses out there, we are not going to stop at machine learning. 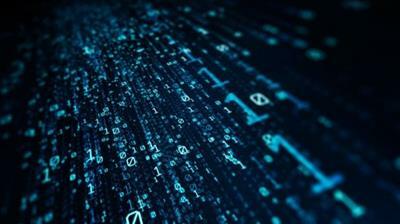 We will also cover data mining, web-scraping, text mining and natural language processing along with mining social media sites like Twitter and Facebook for text data. You'll start by absorbing the most valuable R Data Science basics and techniques. I use easy-to-understand, hands-on methods to simplify and address even the most difficult concepts in R.
My course will help you implement the methods using real data obtained from different sources. 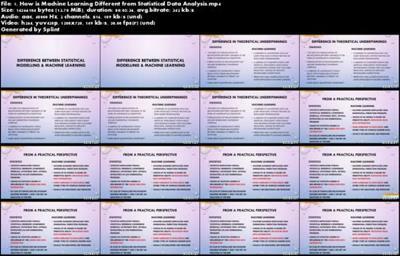 Many courses use made-up data that does not empower students to implement R based data science in real life. After taking this course, you'll easily use packages like caret, dplyr to work with real data in R. You will also learn to use the common NLP packages to extract insights from text data. I will even introduce you to some very important practical case studies - such as detecting loan repayment and tumor detection using machine learning. You will also extract tweets pertaining to trending topics and analyze their underlying sentiments and identify topics with Latent Dirichlet allocation. With this Powerful All-In-One R Data Science course, you'll know it all: visualization, stats, machine learning, data mining, and neural networks! The underlying motivation for the course is to ensure you can apply R based data science on real data into practice today. Start analyzing data for your own projects, whatever your skill level and Impress your potential employers with actual examples of your data science projects. (a) This course will take you from a basic level to performing some of the most common advanced data science techniques using the powerful R based tools. (b) Equip you to use R to perform the different exploratory and visualization tasks for data modelling. (c) Introduce you to some of the most important machine learning concepts in a practical manner such that you can apply these concepts for practical data analysis and interpretation. (d) You will get a strong understanding of some of the most important data mining, text mining and natural language processing techniques. (e) & You will be able to decide which data science techniques are best suited to answer your research questions and applicable to your data and interpret the results. Data ScienceData Mining & Natural Language Processing in R Fast Download via Rapidshare Upload Filehosting Megaupload, Data ScienceData Mining & Natural Language Processing in R Torrents and Emule Download or anything related.